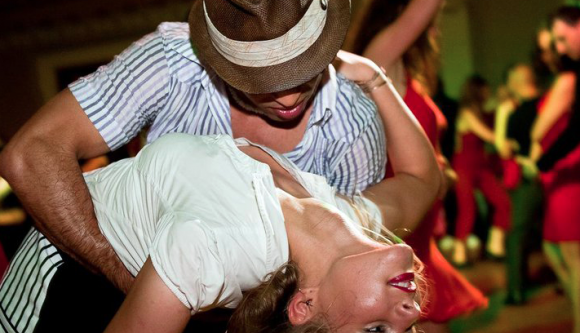 Come out with us for a Latin Night Out on the Town at Aromas! Get used to dancing outside the studio, meet other dancers, see different styles, and practice your new moves! We all go out as a group so there are familiar, friendly faces to dance with to DJ Clave’s always great playlist of Salsa, Bachata, Cha-Cha, and Merengue. Even if you are new to dancing, COME! Everyone is super friendly! Meet us at Aromas at 9pm, and together we’ll dance the night away! There’s no charge for this night out, and no cover at Aromas, so tell your friends and mark your calendars!